In the 16th century, the Mannerist style was stressed as a realistic representation of religious themes painted to show emotions of the beholder. In the 17th, the italians led the artistic transition from Mannerism to the vigorous Baroque style. Spain has been the major fashion leader throughout half of the 16th century, but styles were beginning to lag behind those of those countries influences. Mantilla, a Spanish veil was worn on women. length of veil depends on status in society. Later on, the Spanish style was called the Guardinfante. The Basque was long and wide, and extended down over the top of the wide skirt. shoulder line was usually horizontal and showed necklines. sleeves were full and slashed to show contrasting underlinings and generally ended cuffs. Women wore high chopines with wooden or cork soles that helped to elongate the figure somewhat to compensate for the width of the guardinfante. Skirts were wide with padding around the waist. During the 17th century, powerful images such as art can contribute to the apparel during this time. Mannerist art had strong and emotional content and was the liaison between the Renaissance arts and the Baroque styles. 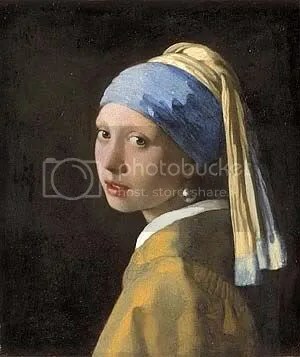 The Girl With The Pearl is a painting done in the early 17th century by a dutch painter named Johannes Vermeer. In this painting, the main focal point is the pearl probably to symbolize some kind of wealth. There is some type of emotion in the face which is the point of these mannerist types of paintings. This type of painting was considered as the “mona lisa of the North”. This specific painting would contribute to apparel during these times through the types of accessories, colors, and baroque style. The Baroque style comes from the Roman Catholic church thorugh reformation. The Baroque style is probably the most important urbanistic revision during this period of time. Movies like The Girl with the Pearl was remade to interpret the style and feeling during the 17th century. Also, the Guardinfante style is also most popular during the 17th century. The Basque was long and wide, and extended down over the top of the wide skirt. shoulder line was usually horizontal and showed necklines. sleeves were full and slashed to show contrasting underlinings and generally ended cuffs. Women wore high chopines with wooden or cork soles that helped to elongate the figure somewhat to compensate for the width of the guardinfante. Skirts were wide with padding around the waist.